What Do I Put On My Dog’s ID Tag? What’s The Most Important Information to Have On Your Dog’s ID Tag? Equipping your dog with a highly readable, sturdy, id tag is your first line of defense in your precious pet’s recovery. With so little space and so much important stuff to put in it, what’s the smartest and most necessary information to help your dog get back home if found by strangers? Well, the question varies somewhat with the lifestyle you and your dog lead along with the setting or settings in which you live. Avoid using up the real estate on a tag with cutesy sayings like “Help, I’m lost”, “Call my Mommy”, or “My name is …”. Useless information crowds the letters and makes everything else on the tag smaller and harder to read. Also, know that using all capital letters will require more room, thus making the letters smaller (less readable) to fit on their lines. Use upper and lower case letters for optimum readability. Typically id tags begin with a dog’s name. Knowing a dog’s name can help a stranger keep your dog in close proximity when initially found. 90% of dog owners use the first line of a dog’s tag for his or her dog’s name. Owners wary of dog stealing in their locale leave off names. Consider this if you are aware of such issues taking place where you live. Phone numbers are next in order of placement. Land lines and cell phone numbers are both great. If you are out looking for your dog and someone calls your cell phone, you’ll know the dog has been found instantly! Messages left on your land line may not be discovered until you return home. Make sure your phone numbers are easily readable by using hyphens or dots to separate the numbers. Next, consider your address. Include a house number and street before you think about trying to fit the town and state. Abbreviate when possible. There is no need to use a zip code if you have listed your town and state. However, if your town and state has too many letters, you may elect to just use your zip code. Microchip information, including numbers, may be important to you. ” Microchip” or “Microchip#” followed by the number on the next line are both good. This is definitely a personal call. Remember that microchips must be scanned by a vet and will take longer and considerable more time to identify you as the dog’s owner. Strangers finding your dog need to have an easy reunite with you. They should not be expected to have to hunt you down, driving around the county or neighborhood for a scan to find you. The longer your dog is away from you, the more likely and prone they may be to accidents or injury. Also, consider the medical needs of your dog if he or she has any. “Needs Meds” is a common line. “Service Dog” can be listed as well. Getting your dog home safely and quickly is the number one goal of any dog id tag. Provide good samaritans with the easiest, most readable information you can and you will be on the road to a speedy recovery and a most happy day when your beloved friend returns home. /wp-content/uploads/2016/08/silverpaws-logo.jpg 0 0 Karen /wp-content/uploads/2016/08/silverpaws-logo.jpg Karen2019-04-17 17:22:342019-04-18 16:09:40What Do I Put On My Dog's ID Tag? As many pet owners know, it can be difficult to keep a house spotless every day. Even the most well-behaved and well-groomed animal can leave little messes behind, from excess hair to mud from his paws. It can be downright exhausting to maintain everything — especially if you’re on a tight budget. Fortunately, there are ways you can keep your home spotless while allowing your pup to stay comfortable and safe. From protecting your furniture to buying inexpensive cleaning supplies, you don’t have to drop a ton of money to keep your home clean and stain-free. There are plenty of ways to save money when buying cleaning supplies. A great place to start is by checking out sales and weekly ads from stores like Amazon and Target where you can find everything you need for cleaning your home. You can also look for Walmart promo codes for cashback opportunities online, or clip coupons for in-store savings. A little extra research can point you toward where the discounts can be used; some may be in- store only, while others will be a better deal online. Consider also signing up for subscriptions to make sure you always have cleaning supplies handy. If your pet tends to spend time on your furniture, you can use an old sheet or towel to cover his favorite areas so that dander and excess hair won’t stick to the upholstery. When guests come over, you can whip the sheet off and throw it in the wash without worrying about whether they’ll leave with pet hair on their clothing. And by using something you already have lying around the house, you’ll save a little bit of money. You can also make your furniture less desirable by not eating near it; dogs have a wonderful sense of smell, and any crumbs that make their way into the seams of your couch will definitely be enticing to him. 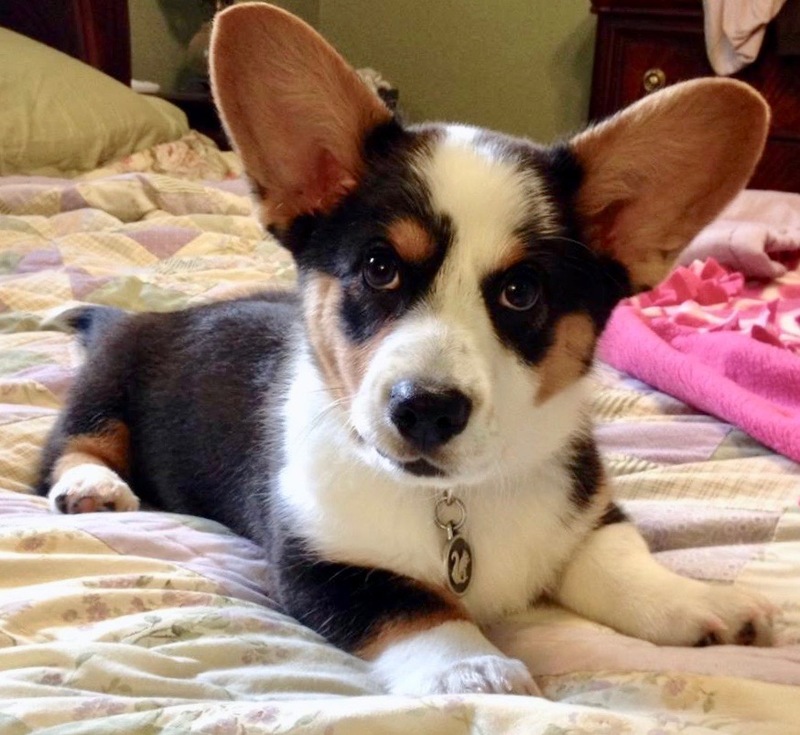 Providing your pup with a soft, clean bed will also help him steer clear of your furniture. Put it in a temperature-controlled spot and give him an old blanket to snuggle with. One of the best ways to ensure your home stays clean is to keep your pet bathed and well- groomed, especially if he has long hair. You can do the grooming yourself at home to save money; just make sure you’re comfortable with cutting his nails with the proper tools; otherwise, you need to have a professional do it. Bathing, brushing, and keeping long hair trimmed will make a huge difference when it comes to keeping your floors spotless. One major issue many pet owners have is an ever-present dog smell; even if your pet is clean, most dogs have a very distinct odor that can rub off on your carpets and furniture — and you. One budget-friendly way around this is to use baking soda on the carpet before you vacuum, and use hot water and lemon juice for tile. Vinegar and water can also be a great cleaner, and you can get tons of uses for under a dollar. Keeping your home spotless when you have pets can be a big job, and the maintenance can become stressful if you don’t have a good plan. Think about the best ways to keep your floors and furniture stain-free without busting your budget, and look online for deals before you buy. Caring for your first pet is a big responsibility, but it is much easier with the proper preparations. First, it’s important to select the right pet (and breed, if applicable). Next, you must prepare your home for your pet and properly acclimate him so you can bond. Let’s see what you need to make those plans. How much time do you plan on spending with your pet? Dogs require more maintenance than most pets, including training. If you don’t have the time for this, you might want to get a less taxing pet. What is your budget? 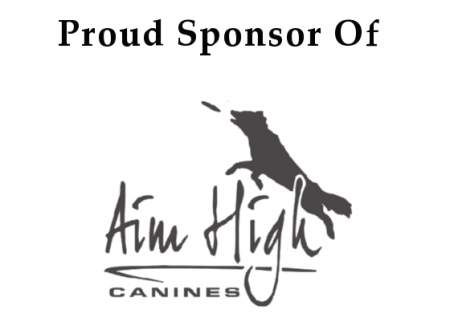 Pets require food, gear, possibly habitats, and vet visits. Larger pets require vaccinations and annual check-ups and can be costly if they get sick or injured. How big is your home? Even if you get a fish tank, you’ll need the structure to support its weight. Dogs might require a fence in your backyard to stay safe. Read this post at The Guardian about choosing the right-sized pet for your home. Pets can be messy. Prepare yourself and your home by investing in pet-specific cleaning supplies and products to protect your carpets and floors. A good vacuum is an absolute must for controlling fur and dander from cats and dogs. Be sure to check online reviews before you buy. Who will care for your pet when you’re away? If you are gone for long hours due to a busy work schedule, you may need to hire a dog walker. If you’re unable to take your dog with you on a vacation or business trip, consider boarding your dog at a reputable facility. Finally, find out if the people you live with are allergic to any pets so you know which to avoid. If you bring home a dog, be sure to purchase a sturdy id tag for them to wear right away. They may be frightened in the beginning and should they follow their nose or bolt you have some protection. Silver Paw Pet Tags make a great, super durable tag. Before you bring home a larger pet, you want to make sure that he or she will be safe, particularly if it’s a kitten or puppy. Look for dangers like broken glass, small items, or places they can get stuck throughout your home. Make sure there is no way for him to get lost. You should also decide if you want there to be “off limits” areas for your pet. Cats are very sensitive to new surroundings, and they may “disappear” for long periods of time. Petfinder has several ideas for acclimating your cat during the first 30 days, including providing him with an area of his own so he can feel safe and comfortable. Kittens will nestle in your hair and purr, so you may find yourself with a few sleepless nights when you bring one home. Not to worry; they are just bonding with you. Bonding might take a little longer with an older dog or a rescue than a puppy, because they may be nervous about a new home. Shelter dogs can take six to eight weeks to settle in. Understanding his needs is critical. This free canine body language tip sheet from the ASPCA can help you learn how your dog communicates. Bringing home your first pet is exciting. However, you need to take several things into consideration beforehand, including living arrangements/space requirements, allergies, and the amount of time you have to spend with your new friend. However, with careful selection and a bit of planning, this can be the start of a wonderful relationship. I’ve had a few dogs over the years. They were loved with all my heart and soul. I’ve never had a dog who really took their time, without any major ailments like cancer, to leave this world. I’ve never cared for a loved one who seriously needed help caring for themselves for an extended time. I know now, it is painful, for them and for me. 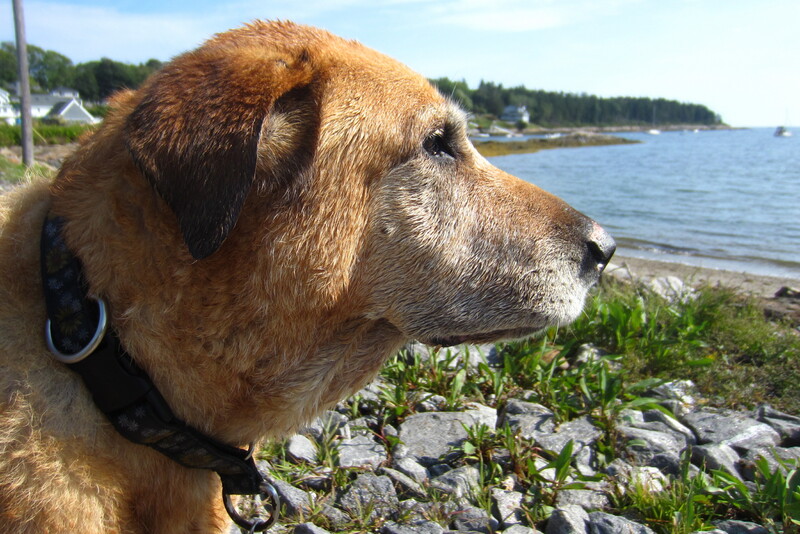 My Ruby, the Silver Paw pup, is fourteen, has crippling arthritis in her front paws, and dysplasia on all four ends. She is a survivor, an old soul from way back. Over the last few years I’ve battled her ulcerated paws, lameness, loss of hearing, and eye sight. Each passing ailment a reminder that life does not go on forever. I love her so dearly, want to help with every step she takes, because that is what I feel she has given to me, but it is hard. Once, such a joyful little wigglebutt character, Ruby, our champion field tester, tromped through every field, forest, ravine, and wild place, but now just sleeps in her bed, oblivious to much of life around her. Everything requires so much effort; getting in and out of the car, up and down from bed, going up and down stairs, and even waking up! I don’t want to be sad but I see the changes happening more quickly. I miss this joyful dog and cherish the glimpses when she returns briefly before our short, slow walks and dinner times. I watch for the moments when there is real excitement in her eyes and it comes through in her body. I guess that when there is less and less of that excitement she’ll be telling us it is her time to let go. Is that how it happens and how will I possibly say goodbye to my loving, stubborn, relentless, and faithful girl, Ruby? Will it be her doing to decide? When you love someone so much, it is so terribly hard. I know there will be more joyful dogs, but none just like this one. 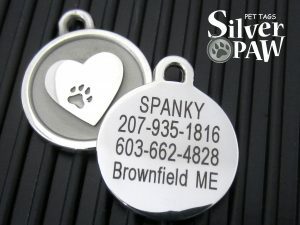 Silver Paw Pet ID Tags: Made in Maine Not China! Buy local, buy USA… it has a familiar ring these days! When buying local means buying higher price, those of us living paycheck to paycheck just don’t go there for obvious reasons. It’s delightful and refreshing to be able to call a business and speak with its owner or an employee who actually makes the product. The chances of your order getting shipped quickly and customized to your specifications is usually greater if the product is produced here in this country. I receive email offers from Chinese companies every week. They want to produce my pet id tags much more cheaply than I do. US stamping companies that I spoke to when developing my pet tags urged me to get them made in China at a fraction of the cost. A major stainless steel pet id tag competitor of ours, who has a lion’s share of the US market, manufactures their tags in China. The average factory wage in China is under $1.40 per hour at 12 hours a day, 6 days a week. /wp-content/uploads/2016/08/silverpaws-logo.jpg 0 0 Karen /wp-content/uploads/2016/08/silverpaws-logo.jpg Karen2017-04-27 11:29:112017-05-04 20:55:38Silver Paw Pet ID Tags: Made in Maine Not China! Rotary Engraving, Stamping, or Laser Engraving Pet ID Tags: Which Is Best? There are three basic approaches to applying information to pet id tags. If you are reading this, I’m assuming you are looking for the best type of engraving to purchase on your pet tag. Computerized rotary engravers use a sharp cutter to actually remove metal from the surface of lines. Stamping machines exert tremendous force to press numbers and letters into metal, thereby displacing the lines into the metal. Computerized lasers can mark or engrave metal using a highly focused laser beam. Here at Silver Paw we are most concerned with what will be the most readable, durable, and the longest lasting for you and your pet. Computerized rotary engravers carve out metal from the surface. Stainless steel tags are highly durable but a tough metal to engrave this way. Often times the engraving is not very deep because the cutter doesn’t have enough power to cut through the metal. It wreaks havok on carbide cutters. Cutters must constantly be sent to the machine shop for re-sharpening because the stainless steel wears them down so quickly. You will find softer metal tags can be easily engraved this way but the engraving wears away quickly along with the tag metal surface itself. This method is also harder to read as it requires you to move the tag around to actually see the embedded engraving. Stamping pet id tags makes for a nice deep indentation of information on the tag but it is not always the most attractive. It is impossible to get a lot of information placed in a small space, such as a pet tag, in a crisp and readable manner because the displaced metal has to have somewhere to go. It will last, but if your dog is really active, the tag will not last. Stamping is done on thin, soft metal (brass, copper, nickel, pewter, aluminum, sterling silver). These metals are too soft to withstand the abuse a tag takes. Stamping personalized information on thick stainless steel uses expensive dies, cannot be done without an enormous amount of pressure (tons), and is therefore impractical. Laser engraving pet id tags has become very popular and it is what we use here at Silver Paw Tags. Lasers engrave metal using a highly focused laser beam. At one time CO2 lasers were not a good option for engraving metal because they weren’t powerful enough to produce deep lines. With the advent of fiber pulsed lasers that scenario has changed. A powerful, costly, fiber laser is the only type of laser which can get deep into stainless steel. The laser actually vaporizes the metal and leaves a deep carbon blackened line which makes the marking very crisp and easy to read. Laser engraving is very sharp and clean. The extent of detail it can achieve is amazing. /wp-content/uploads/2016/08/silverpaws-logo.jpg 0 0 Karen /wp-content/uploads/2016/08/silverpaws-logo.jpg Karen2017-04-27 11:26:092018-02-05 12:52:33Rotary Engraving, Stamping, or Laser Engraving Pet ID Tags: Which Is Best? Going through a move and all the accompanying changes associated with it are a hassle any day of the week, month, or year! In the hecticness, one of the most overlooked tasks people often forget about is to update the information on their dog’s id tags. There are all of the other changes to checkbooks, credit cards, subscriptions, licenses, etc, etc. But forgetting to update a tag can have very unfortunate consequences. I can’t think of a more important time to have an updated id tag on your dog than a move. A new neighborhood, house, smells, sounds, can all be distracting and disorienting to dogs. Having a current phone and address on your dog is very important in those first days and weeks of getting settled in should your dog be enticed to wonder off in new surroundings. It happens. No one wants the added panic of discovering your beloved friend is missing. When you purchase a Maine made Silver Paw Tag for your dog, you automatically have the option to renew your engraving should your information ever change. You just mail your tag to them and they grind your old information off and replace it with the new. You also get the added benefit of a brand spanking new looking tag because the whole tag gets repolished. That’s the beauty of owning a thick solid stainless steel tag and working with a small USA based customer service focused company. None of us can predict the future, so it’s nice to know that a pet id tag you are buying comes with the option of renewable engraving, especially after you’ve made an investment in the tag. These tags are so well made that it’s really hard to destroy the dog gone things. So if they’re going to be around for awhile, might as well have the convenient option to update your info. That will keep everyone smiling, including your dog! Silver Paw Tags/ Sticker Shock! “Now, $30 for just a tag can be a bit hard to swallow, but they are 100% worth it,” wrote one of our customers several years ago. “The amount I was spending on each supposedly “durable” id tag at the pet store was easily munched and mangled, so I figured why not get a GOOD tag?”. The dilemma of whether to trust the quality of a $30 tag versus a $15 tag is a legitimate one. Do you always get what you pay for? Customer reviews can be very helpful but so can learning about what goes into the making of that product. 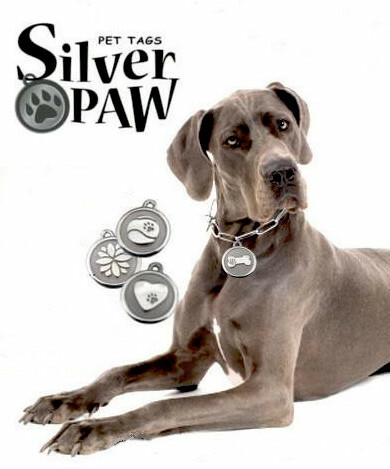 Silver Paw Tags are the gold standard of the hanging pet tag market for several reasons. Purchasing an id tag for the life of your dog and then being able to use that tag as a remembrance of your beloved pal on a key chain, necklace, or bracelet is what Silver Paw tags are designed to do. The metal is so impervious to scratches, dings, tarnishing, or corrosion, that you will want to wear it. Does this quality come at a price? Of course. The extreme labor involved in creating molds, casting, hand finishing, and fiber laser engraving each tag right here in the USA is extremely costly. https://www.youtube.com/watch?v=ZL749nUsgQQhttps://www.youtube.com/watch?v=9svX8GbHYTM Skilled labor in this country is compensated in a different way than in China and rightly so. Any product made in this country that is labor intensive and handmade by skilled artisans is going to cost more. Silver Paw believes that keeping production in the USA benefits our workforce and encourages quality. In the pursuit of “deals”, good “old fashioned” quality has fallen by the wayside in so much or our society that we have come to expect products to fall apart. We have understandably become naturally suspicious of the word “quality”. . . If you google stainless steel jewelry for people, you’ll find nothing much available for under $30 and that “quality” $29.95 jewelry is made in China. US manufacturers can’t compete with Chinese labor and we all want “deals”. What does that say about an extremely rugged and well finished pet id tag, several times the weight of a piece of chinese made jewelry, that has several lines of custom engraving, won’t fall apart, and is made in Maine? Sticker shock over Silver Paw id tags can be remedied if one thinks about buying a lasting piece of not only “beautiful” but “highly functional” quality jewelry. Jewelry that can also save the life of your dog for the life of your dog! Our dogs are so devoted and have given us so much pleasure and love as beloved members of our family. 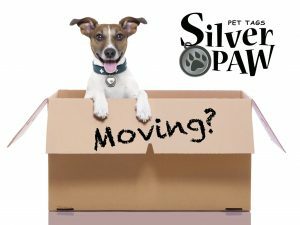 Of all the crazy things pet owners purchase over the life of their dog, how can one resist the expense of a good quality pet id tag such as Silver Paw’s? /wp-content/uploads/2016/08/silverpaws-logo.jpg 0 0 Karen /wp-content/uploads/2016/08/silverpaws-logo.jpg Karen2017-04-27 10:39:222017-05-04 21:01:40Silver Paw Tags/ Sticker Shock! 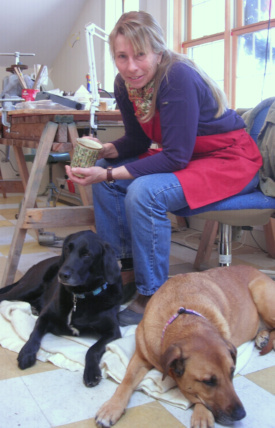 Brownfield jeweler, Karen Twombly, isn’t giving up. 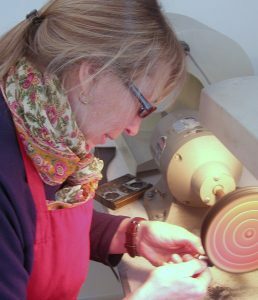 With 19 years of business under her belt and gold and silver prices through the roof, Twombly, is reinventing herself. 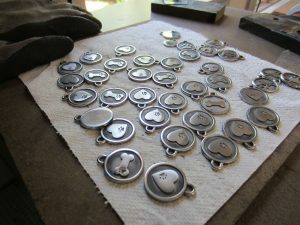 “ I’ve had plenty of time, sitting at shows, to ponder the fate of jewelry in a less than thriving economy.” Spurred on by her trusty canine companions, Ruby and Jet, her new business, Silver Paw Pet Tags, will debut Twombly’s stainless steel ID Tags at Fryeburg Fair this year. Wanderlustis a common problem in intact male dogs of any breed as well as certain breeds like hounds. These dogs will actively attempt to escape by climbing, digging, or wiggling to escape their yards. They will also bolt out a door or pull to get away from their handler if the opportunity presents itself. Wanderlust is responsible for the displacement of many dogs and a major contributing factor to the stray populations in our shelters.